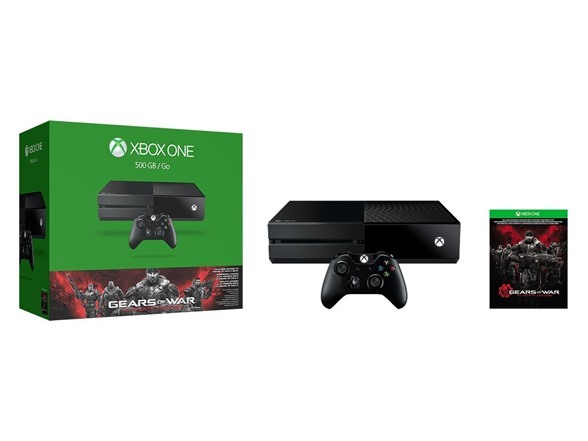 The Xbox One Gaming Console from Microsoft delivers a next generation experience in both gaming and multimedia. With high resolution graphics, fast performance, and innovative features, the Xbox One allows you to game on your own terms. You can snap two windows together on the same screen so you can watch TV while you play your game. Xbox Live allows you to test your skills against other players around the world. Xbox Smartglass allows you to connect your smartphone or tablet to your Xbox One for intuitive access and control. The redesigned Xbox One controller provides over 40 improvements over its predecessor, the Xbox 360 controller. The Xbox One isn't just a gaming console, it's a multimedia system designed to consolidate all your entertainment needs into one device. The Xbox One has an 8-core processor that lets you instantly switch between a game and your favorite entertainment apps with ease. Connect your cable or satellite box to your Xbox One and watch your favorite shows with the OneGuide. HDMI pass-thru enables you to watch TV through your Xbox, which makes switching inputs a thing of the past. With 8GB of RAM and a 500GB hard drive, the Xbox One gives you plenty of memory for your games, demos, movies, apps, music, and more. The Xbox One system software uses a significant amount of storage, which means less internal storage will be available to users. Watch movies and play games in stunning HD with the built-in Blu-ray optical drive. Microsoft created a state-of-the-art gaming OS and fused it with a powerful Windows OS. So you get the best of both worlds on the Xbox One. Forget about having to switch inputs to watch TV or play a game. Now you can run a host of apps right alongside your game without any loss of performance. The Xbox One balances both power and performance. In addition to Xbox One's architecture, the combination of its CPU, GPU, and ESRAM provides both power and speed in harmony. So the Xbox One uses its power more effectively. The Xbox One controller has over 40 technology innovations over its predecessor, the Xbox 360 controller. With Impulse Triggers, you'll experience precise fingertip feed for more realistic encounters. Microsoft also streamlined the thumbsticks and contours as well as redesigned the infamous D-pad for improved precision and comfort in your hands. Immerse yourself in cinematic worlds that look like real life, with characters that feel more human. Advanced AI technology and the processing power of Xbox One make game worlds come alive. And thanks to the power of the cloud, what you do in a game can stay that way persistently. Xbox One's unique architecture allows creators to build realistic, cinematic experiences of the highest fidelity possible. The Xbox One was designed for today's fast-paced lifestyle. It wakes up instantly when you say, "Xbox On," and even turns on your TV. Downloads and updates happen behind the scenes, so you can jump right in. And when you need to pause, your games are suspended right where you left off, so you can resume instantly. Get more from games and entertainment with unique cross-screen experiences. With the free Xbox SmartGlass app for Windows 8, Windows Phone, Android, and iOS, you can use your tablet or phone to extend, enhance and control what's playing on your Xbox One. Smart Match uses advanced algorithms to pair you with the right players and gives you more control over who you play with. Tired of waiting around in game lobbies for matches to start? Keep playing, watching TV, or surfing the web while matchmaking happens behind the scenes. Games hosted in the cloud on Xbox Live gain performance, neutralize host advantage, and minimize cheating. Are cheats and jerks ruining your multiplayer experience? An extensive redesigned reputation system helps keep annoying players out of your games. Xbox Live ensures next-generation gaming and performance for the millions of gamers around the world. Server based multiplayer experiences come to life with cloud-powered artificial intelligence creating epic experiences each time you play. And because every game is hosted by servers, host advantage, and player drops and ping times should be much improved. Just because you're not playing doesn't mean your games have to stop. With Living Games technology and the power of the cloud, game worlds can be persistent. So the things you do in a game will stay that way. Plus, your games are in sync with the real world, which means the latest stats can be automatically fed into your sports games. Advanced AI even allows your friends to play against your shadow when you're not available. Sometimes, you'll have to stop playing in the middle of a game. Thanks to the power of the cloud, you can start right where you left off, even if it's in the middle of a battle or a race. Games can learn to play like you and your friends, so you always have worthy opponents, even when your friends are offline. Available features and content may vary by country. Advanced TV hardware required. Games and media content sold separately. Initial set-up and some games and features required broadband internet; ISP fees apply. 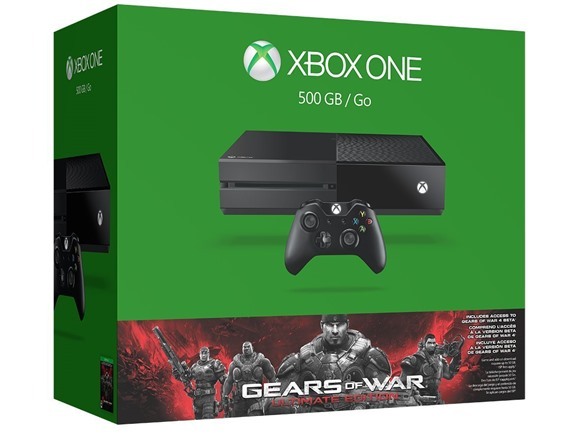 Online multiplayer, Game DVR, and Upload Studio also require Xbox Live Gold membership (sold separately). Not all Xbox Live features available on Xbox 360 are available on Xbox One; multiplayer between Xbox 360 and Xbox One not supported. Adaptive AI, Game DVR, Living Games, Twitch and Upload Studio available in supported games. Home Gold benefits limited to single Xbox One in Gold member's home; restrictions apply. Everyone can have their own personalized Home screen, for instant access to their favorite games and entertainment. Plus, sign into Xbox Live on any Xbox One, and your Home screen, digital games, content, profile, and saves come to you. 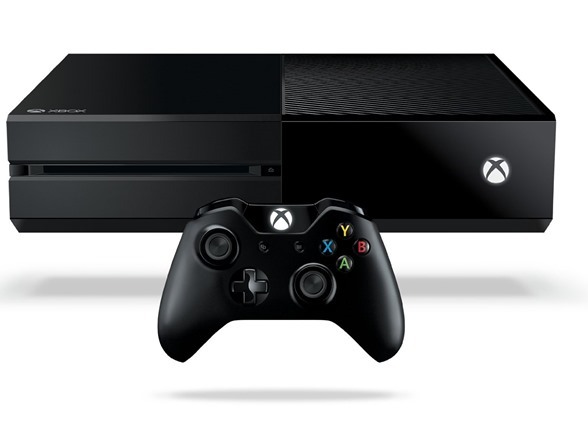 Xbox One lets you quickly jump from TV to a movie to a game. And then snap them side by side to do two things simultaneously. Music and games. Skype voice calls and live sports. Snap Upload next to the game you are playing to watch clips related to that game. Xbox One is changing the game and transforming the way fans experience the NFL from the living room. Stay connected to all the latest NFL news, video highlights, scores, and stats from the around the League, anytime you want. And with built-in NFL.com Fantasy Football, you can even follow your Fantasy updates in real-time while watching live TV broadcast games. Xbox One is the Official Game Console of the NFL. Skype has been specially designed for Xbox One. Chat with friends on your TV in stunning HD. Use Skype in Snap mode to chat while you watch TV. Or participate in group video Skype calls with up to three people around the world, all from the comfort of your living room. Explore the web on your TV with Internet Explorer for Xbox One. Use your voice to browse your favorite sites with ease. Use Bing to find the best of the web. Or use Xbox SmartGlass on your phone or tablet to control your experience. Xbox One lets you discover what TV shows and movies are popular among your friends and tells you what's trending in your region. Experience the intense workouts with instant, personalized feedback on Xbox Fitness. Train with Jillian Michaels, Tracy Anderson, P90X, INSANITY, and more. Get unlimited access free with Xbox Live Gold for a limited time. Starting January 2015, unlimited access requires a paid Xbox Fitness Pass subscription and an Xbox Live Gold membership (both sold separately). Additional Xbox Fitness content is available for purchase, and may vary over time. Connect your cable or satellite box to the Xbox One and watch all your favorite television shows right through your console. The OneGuide has all your favorite channels and all your favorite shows. You can create your own favorites list by selecting the TV channels and apps you watch the most. You no longer have to switch inputs to watch TV or play a movie. Supported television tuner or cable/satellite set top box with HDMI output and HDMI cable required (all sold separately). The Xbox One supports a variety of apps. Pin your favorites to your home screen. You can also jump between apps instantly or snap them side by side to do two things at once.